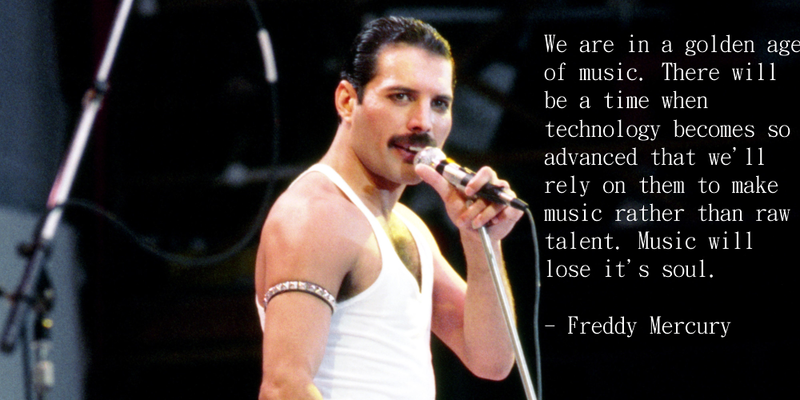 Last Friday marked the 33rd anniversary of the Live Aid concert that was broadcast world-wide on July 13, 1985. I remember watching it with my brother Jim and recording the whole thing on VHS tapes. Back then there was no internet, so that was the only way to watch it after it was televised live. I can’t believe that was 33 years ago! 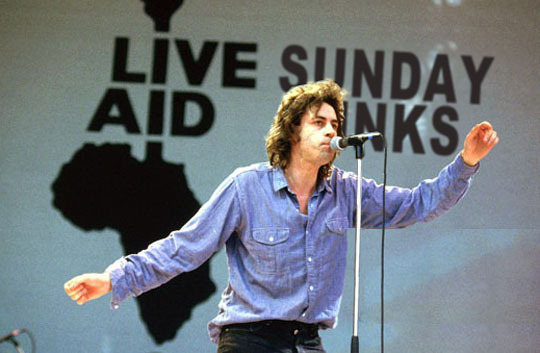 To mark this anniversary I have a half a dozen links to online articles about Live-Aid. And of course, then there’s the MBIP Coming Attractions as to what’s happening on the blog next week! Live Aid 30th Anniversary: The Day Rock and Roll Changed the World - This is a good historical synopsis of the events that led up to the concert and the Live Aid event itself. This Day In Music: July 13th, 1985 - Live Aid - Even though the type is small, I like this because it’s got the entire running order of all of the bands that played both of the shows. The Legacy of Live Aid, 30 Years Later - This feature article details how LIve Aid had influenced fundraising through the years, influencing such events as Farm Aid, Comic Relief and Red Nose Day. Space ships, drugs everywhere, and Freddie Mercury trying it on with Bono: The Live Aid story you've never heard before - This is and excerpt from the book, “The Eighties: One Day, One Decade”, by Dylan Jones, which has some great Live Aid backstage stories. An oral history of Live Aid: The ones who made a brighter day 33 years ago - Memories from people who were there including Adam Ant, MTV’s Martha Quinn, Michael Des Barres, John Oates and Rick Springfield. Flashback Friday: 30 Photos From 1985’s Epic Live Aid Concert - A nice photo slide show from Live Aid which was a unique day in rock ‘n roll history and I feel lucky to have seen it live all those years ago! Two years ago almost to this day, I started a vegetarian tour with my friend Ben Lowrey A.K.A. B Löwd and I asked him if after a year of vegetarian meals he would eat a meaty meal and he agreed. Well, two years later we finally pulled this off and you can see Ben eating meat tomorrow at a dinner from Jim’s Steakhouse we had last night! Tuesday we’re entering our seventh week in the 13 month chicken tour and I’m going somewhere today with my friends Amber and Joe and quite frankly, I’m not sure where we’re going, it might be some place in Bellevue, but tune in Tuesday to find out for sure! Wednesday will be highlights from a party celebrating the Heart of Illinois Fair which starts this week on July 17th and runs through July 21st. Thursday will be the Places In Peoria series with photos from a hotel on Knoxville that’s a little sketchy! Friday will be the MBIP Drink of the Week and then there’s the Saturday Suggestions and then back for more Sunday Links after that. Okay, I have to get ready for the chicken journey with Amber and Joe now, I wonder where we’re going? We’ll all find out on Tuesday, till then have a lovely Sunday and we’ll see you all tomorrow! Related Posts: Sunday Links: Zines, Howard Stern and Donald Trump and Fear and Loathing in Las Vegas.